One of the most important things you should not forget if you are planning for a backpacking trip is a tent. Your shelter will protect you against insects, wild animals, and the weather. Choosing the perfect backpacking tent may not be that easy. Some people end up buying the wrong one with features that are unnecessary. When it comes to backpacking tent, campers would generally choose the one that is versatile, reliable, durable, lightweight and affordable. There is one brand that fits these qualifications - The Nemo tent. 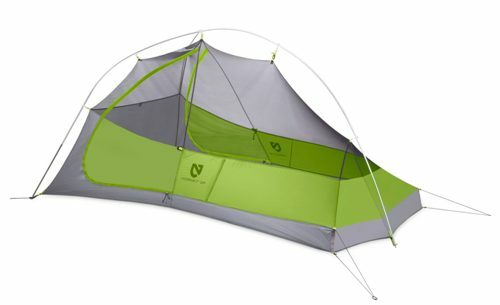 This post will review two of the best Nemo tents - the Dragger and the Hornet. 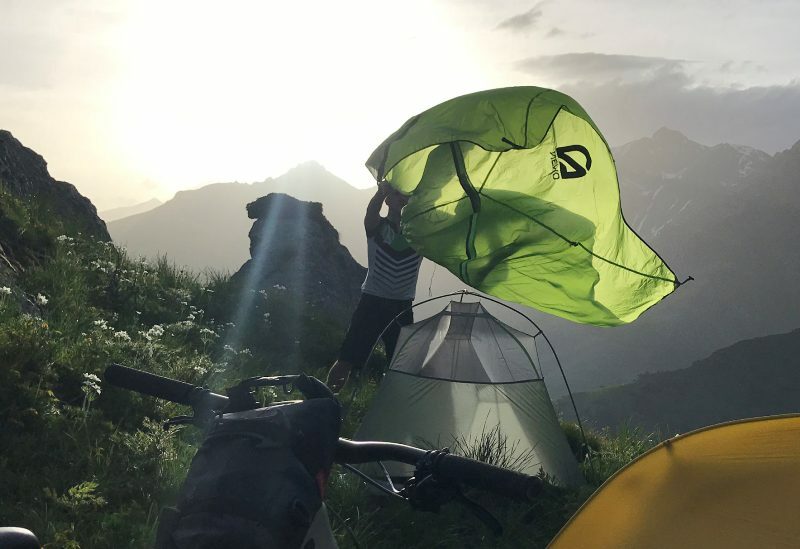 After reading these Nemo tent reviews, you will be able to decide on the perfect backpacking tent for your next adventure. 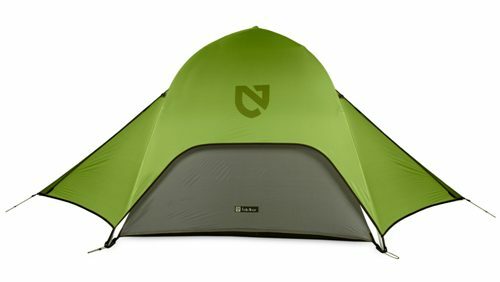 For those who wish to jump straight into the final verdict, here is a quick recap on the mentioned Nemo tents. Floor Dimension: 90 x 50"
Floor Dimension: 85 x 51 x 43"
Single wall Nemo Dagger 2P Ultralight Tent is one of the sought after backpacking tent. It can fit one or two people and has been known for being ultra-lightweight. It weighs around 3lbs. The complete pack of Nemo Dagger is packed and carried in a Divvy stuff sack. Nemo Dagger is made of Osmo, a waterproof and breathable material. This fabric has a good balance of tear strength, weight, waterproofness, and abrasion resistance. The seams are taped using Bemis to provide a uniform waterproof barrier on stitches to the inside of the tent. These are one of the essential parts of the tent. 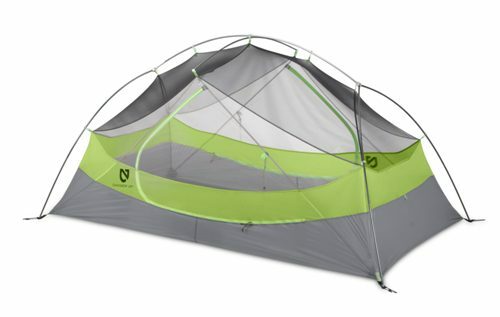 The tent comes with DAC Featherlite poles, which are lighter as compared to aluminum poles. It provides a stronger connection system than most because the way the connectors have been designed. The poles are locked together at the cross-beam intersections using Swivel Hubs, to allow the poles to swivel freely. The interior has 31 sq-ft. room space, plus another by 2.1 under the vestibules. Setting up the full-sized air mattresses is easy as well as keeping the packs in the tent. The Nemo Dagger tent comes with two doors and two vestibules that gets rid of clambering over each other at night. Vestibule Area: 23 sq. ft. / 2.1 sq. 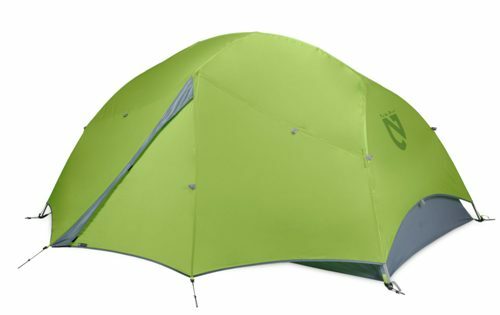 m.
Another popular Nemo product is the Nemo Hornet Ultralight Tent. The manufacturer of Nemo makes sure that their product weighs less and will not add a burden to their backpack. This is one of the reasons why this brand is popular among backpackers. The designers of this tent make sure that this is an ultralight tent with enough space inside and very durable. Some tent focuses only on being lightweight affecting the quality and strength of their products. Although it is not the biggest two-person tents in the market, it is a very reliable ultralight backpacking tent. Nemo Hornet only weighs around 2 lbs; this is quite light for the use of it. As compared to other brands this is much lighter but still has all the needed features you might need for a backpacking tent. With the weight of the Nemo Hornet who would have thought that it has a spacious room that even a six-footer individual can fit. It may not be the largest, but it is not the smallest. It can fit a mattress fit for 2-people. In determining which of the two styles of Nemo tent will suit you best, the criteria below are something you should consider. The first factor you should consider when searching for a tent is the weight. Keep in mind not all tents that claim to be lightweight, weigh less. You need a lighter tent since you will be carrying it on your back. Some lightweight tents are not as durable as the heavier tent. When dealing with ultralight tents, you need to be very careful when setting them up and storing them after using them. Ultralight tents are more costly. 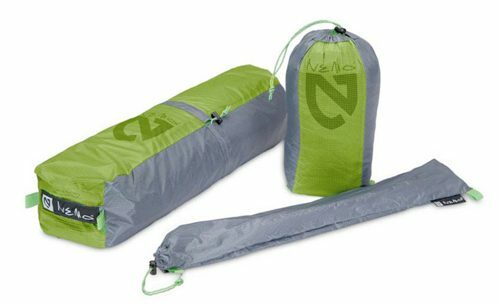 When comparing tents, you will notice two different weight specs. One is the minimum trail weight which is the weight of the tent, poles and flies only. However, you will also need a stuff sack, a footprint to protect the bottom of the tent and stakes. Tent with two doors is more convenient if you are camping with someone. However, if you are alone or camping as a couple, a single door tent is enough. With two doors you don’t have to crawl around and pass through your companion to get out since you can go outside using the other door. You will also have a separate vestibule to keep your things which helps you in organizing. The number of individuals sharing the tent and their height should be considered when checking out the interior space. Most of the 2-person tent is too small for two people. If you will be camping with your partner and it is okay with you to have a tight place, then you can choose any of the two-person tents. But if you will be sharing it with your friends who are 6-footer then select the one with a spacious interior. Some of the things that you need to focus on are the interior floor area, check if it has a tapered design and if there is enough space for you to sit and move around in case you get stuck inside because of bad weather. Most of the backpackers prefer a three-season tent which is designed well in moderate weather during summer, fall and spring. 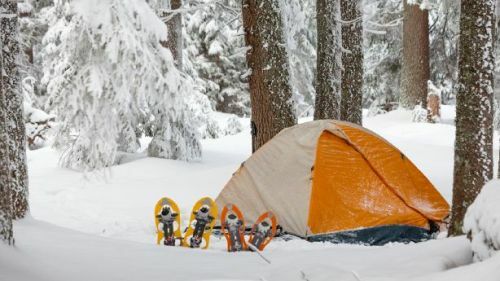 In case you are camping on heavy snow or in extreme, weather conditions, it is best to choose a 4-season tent. 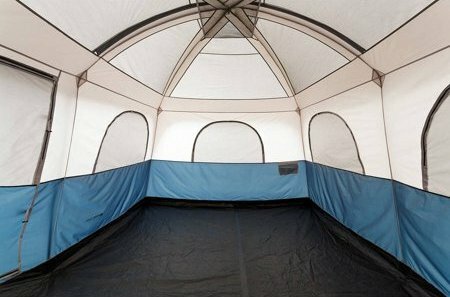 The 4-season tents have minimal mesh and retain heat better. However, the lack of ventilation can make the people inside feel stuffy. The free-standing tent has poles to support it. This kind of tent is easy to set up and can be pitched anywhere, which makes it more popular. The tarp-style tent is set up using trekking poles to support the tent and by tying the guy lines to rocks, trees, and others to get it taut. This type is lighter because they do not have poles. The majority of the backpacking tents are double-walled. This only means that it comes with the actual tent as your protection and a separate rain fly that is attached to the outside of the tent. Double-walled tents have better ventilation and less condensation due to airflow. The single-walled tent, on the other hand, is weatherproofed without the need for a fly, and it will help you remove some weight. This type of tent has no mesh and no windows. It can cause condensation during the wet season. 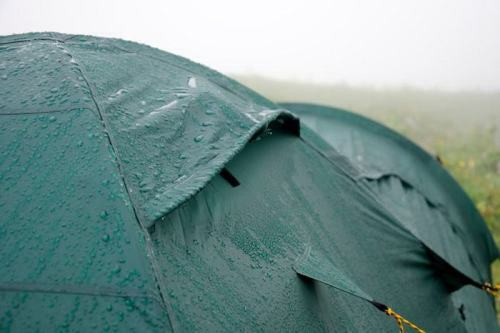 Single-walled camping tents are recommended for dry, cold conditions. 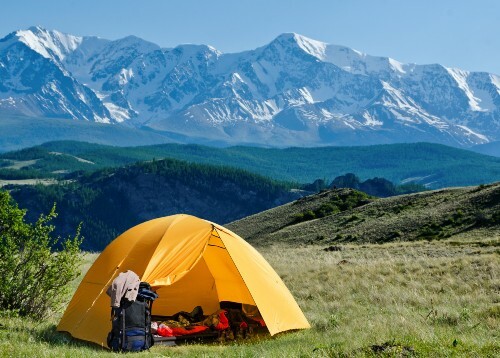 Check out this article for our best rated backpacking camping tents. The Nemo Hornet and Nemo Dagger are two products recommended for solo or two campers. When it comes to interior space Dagger is more spacious than Hornet. For couples who do not mind a tight squeeze, the Hornet Ultralight Camping tent is perfect for them. But if you and your companion want bigger space so you could move around and place to your things orderly, Nemo Dagger is more preferred. Both tents weigh less without compromising the quality and strength. Most of the tents belonging to this weight class have a single door, but the Hornet has a 2-door system which makes it more convenient. Both are excellent two-person camping tent; your decision will depend on how light you want your shelter will be. All in all, we hope that with our Nemo tent reviews will be able to help you in deciding which backpacking tent to go for.